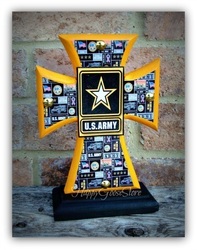 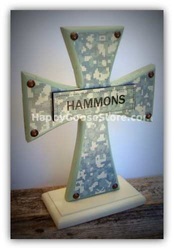 Military Crosses can be created in any branch. 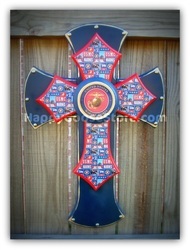 Contact us for details or if you have questions. 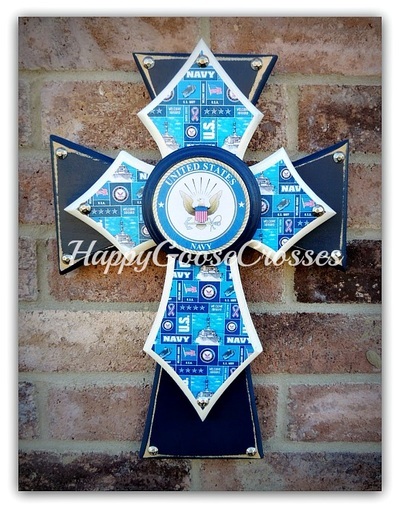 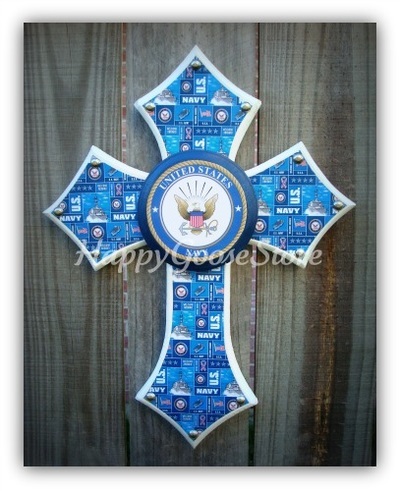 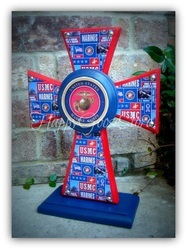 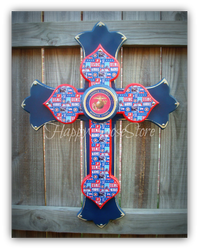 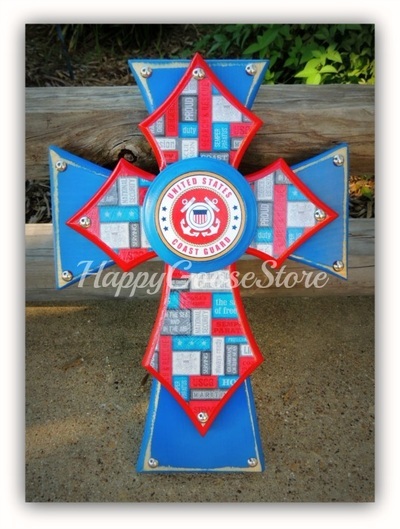 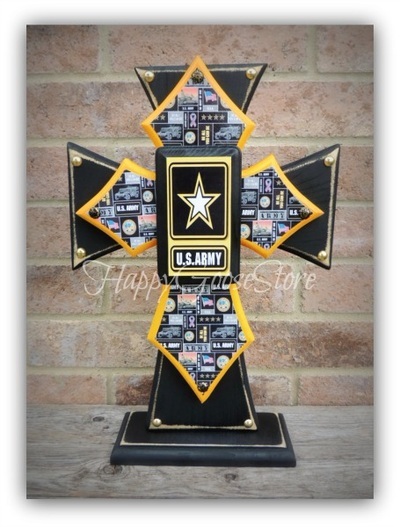 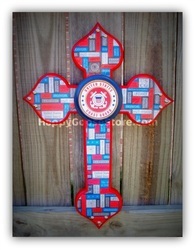 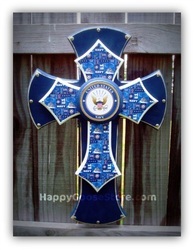 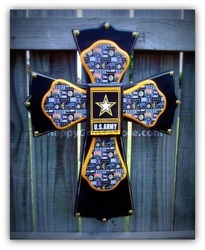 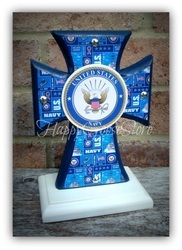 LARGE Cross ~ US Marines (can be done in any branch) ~ measures 29" x 21.5"
MEDIUM Cross ~ US Army (can be done in any branch) ~ measures 22" x 16"
MEDIUM Cross ~ US Navy (can be done in any branch) ~ measures 24" x 16"
MEDIUM Cross ~ US Marines (can be done in any branch) ~ measures 24" x 16"
SMALL Cross ~ US Coast Guard (can be done in any branch) ~ measures 22.5" x 16"
MINI-STANDING Cross ~ US Navy (can be done in any branch) ~ measures 8" x 5.5"
MINI-STANDING Cross ~ US Army (can be done in any branch) ~ measures 8" x 5.5"
X-SMALL Cross - Us Navy (can be made in any branch) - measures 17" x 13"
REGULAR STANDING Cross ~ US Marines (can be done in any branch) ~ measures 12" x 9"
REGULAR STANDING Cross ~ Digital camo w/name patch ~ measures 12" x 9"
X-SMALL Cross ~ US Coast Guard (can be done in any branch) ~ measures 16" x 12"
X-SMALL Cross ~ US Navy (can be done in any branch) ~ measures 16" x 12"
LARGE STANDING Cross ~ US Army (can be done in any branch) ~ measures 17" x 12"